Over the years we have worked closely with over 100 brands to help deliver their Marketing & Promotional Campaigns. 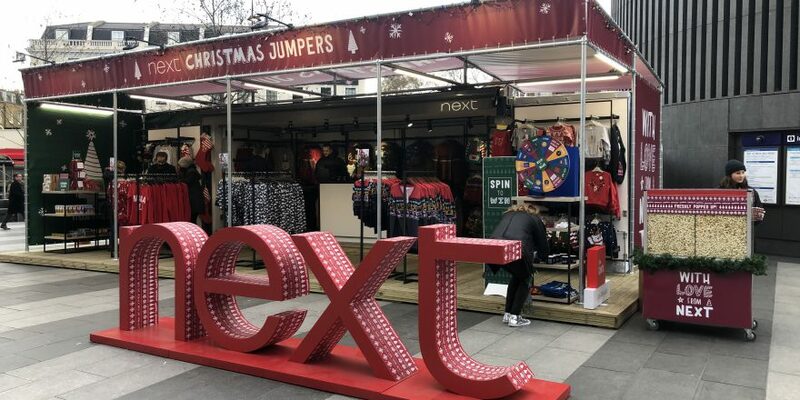 Recently we worked with Next Plc @ Kings Cross, their “Pop Up” Store was a huge success over the Christmas Period. Images and References are available upon request. Please contact Diane to discuss your event, confident you will not be disappointed with our Knowledge, Expertise and Professional Approach.